The Victaulic team is honored the readers of Consulting-Specifying Engineer (CSE) voted two of our innovative technologies as best new products of 2015 in the publication’s Product of the Year award program. The new and improved FireLock® Series 745 Fire-Pac received the top honor of Gold in the Fire, Life Safety, Mass Notification category, while the Vic-300 MasterSeal™ Stainless Steel Butterfly Valve – Series 461 was awarded Silver in the Plumbing and Water Management category. 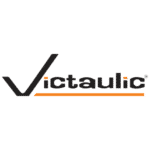 Designing products that simplify installation, maintenance and operations for our customers, while providing superior quality, is integral to Victaulic. We continually strive to innovate and advance our solutions, remaining at the forefront of the evolving manufacturing industry. The FireLock Series 745 Fire-Pac is a best-in-class product in the fire protection market, delivering a number of installation, maintenance and performance benefits. Enclosed within a metal cabinet, the pre-assembled and tested dry, deluge or preaction valve, control valve, and pressure switches and gauges are all pre-wired to a fire alarm control panel that is easily viewed through a window in the cabinet door. New custom solutions include weatherproofing to NEMA 4 standards; insulation and heating components; compressor and nitrogen fill kit options; and addressable panels. The Fire-Pac also features fully removable side and back panels for easy access for inspection and maintenance. Designed for potable and HVAC applications, the Vic-300 MasterSeal™ Stainless Steel Butterfly Valve – Series 461 enables faster, easier valve installation while offering a bubble-tight seal, improved flow, and extended service life. The patented seat seals equally on both sides of the valve, assuring full 360-degree sealing and resulting in a longer life expectancy. The lightweight Series 461 is available in 2-8”/50-200 mm, including 76.1 mm & 139.7 mm, for pressures ranging from full vacuum to 300 psi/2065 kPa. For applications requiring compliance with the Reduction of Lead in Drinking Water Act, the Series 461 valve is NSF Certified in accordance with ANSI/NSF 61 for cold and hot potable water service and ANSI/NSF 372. CSE’s Product of the Year is the premier award for new products in the HVAC, fire/life safety, electrical, and plumbing systems engineering markets. The annual program was created to provide readers with information about the top new products in their fields. Thank you to CSE and their readers for recognizing two of Victaulic’s new 2015 products. 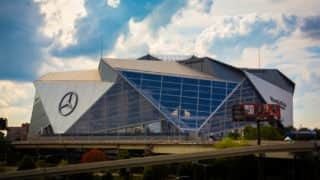 We are both proud and honored, and we remain committed to designing quality, safe and efficient products that continue to meet our customers’ needs. Winners were announced today and featured in CSE’s September 2015 issue. Congratulations to all the winners and finalists!